It is recommended to validate the transport process of pharmaceutical products that is known as good distribution practices (GDP). In the past, it was not important to validate the transportation of the pharmaceutical products but now it is recommended by all major regulatory agencies. Storage conditions during transit of the pharmaceutical products should be validated because it may affect the product stability. When pharmaceutical products are stored at manufacturing sites or medical shops, it is recommended to maintain the controlled environment then it is also important to transit these products under specified controlled conditions. Increase temperature can reduce the efficiency of the drug products. 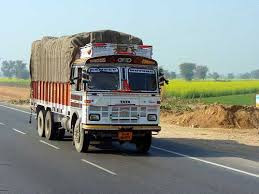 Transportation of these items has the risk of temperature variation due to different factors; therefore it is required to validate the whole transportation process. A validation protocol should be written before starting the validation process. It is observed that a 20% increase in temperature can reduce the efficiency of drug up to 25% those are stored at 2-8°C. Every drug has a unique relationship between the temperature and reduction in its efficiency. That can only be determined individually. As we all know most of the vaccines are affected by improper handling during transportation and storage. According to WHO, 25% of the vaccines found ineffective when reaches their final destination due to the uncontrolled temperature. In WHO TRS961 Annex9, it is recommended to transit the pharmaceutical products under controlled temperature conditions, any deviation should be reported to the distributed and it should be investigated. European Commission also has a small guidance note on Verification of Transportation. Temperature controlled vehicles are used to transit the medicinal products. These vehicles should be validated for the controlled environmental conditions before use. Compartment should be mapped for temperature and humidity for a time period equal to the actual time taken in transit of product. The time taken to exceed the maximum storage temperature and humidity at the time of control failure should also be determined considering it as a worst case. During transit temperature and humidity data loggers are used to record the temperature and humidity. Data loggers are placed at different locations with the product. Sometimes data loggers can be packed in shippers with the product to get the actual data. It should be done for hot and cold seasons both. Risk assessment for different factors during transport as the failure of data loggers, vibration, delay during transit and other factors that can happen during the transit, should be done. Shock measurement stickers can be used in validation of shock sensitive material. Vehicle driver should be trained for handling the data loggers during transit.